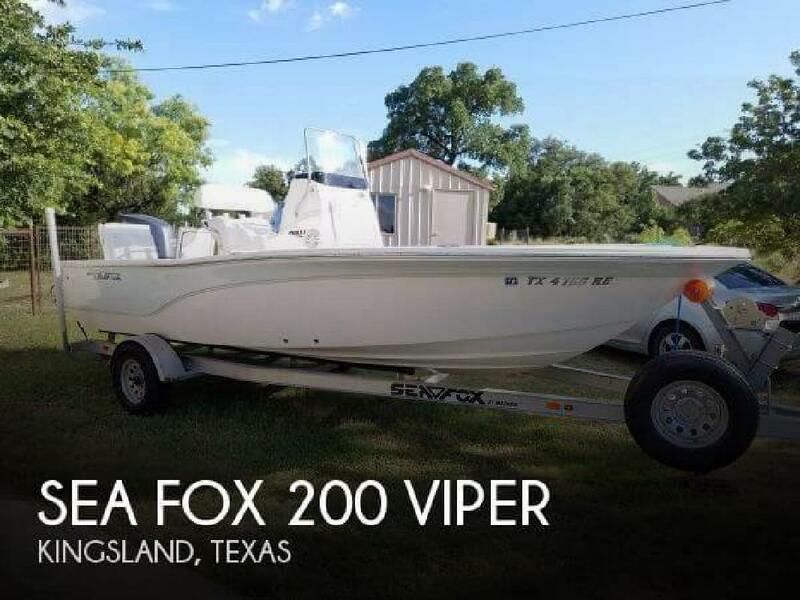 - Stock #110343 - If you are in the market for a bay, look no further than this 2013 Sea Fox 200 Viper, priced right at $35,000 (offers encouraged).This boat is located in Kingsland, Texas and is in great condition. She is also equipped with a Yamaha engine that has only 100 hours.This listing has now been on the market 30 days. If you are thinking of making an offer, go ahead and submit it today! Let's make a deal!At POP Yachts, we will always provide you with a TRUE representation of every vessel we market. We encourage all buyers to schedule a survey for an independent analysis. Any offer to purchase is ALWAYS subject to satisfactory survey results.Take a look at ALL ***ORIGINAL PICTURES*** of this vessel on our main website at POPYACHTS DOT COM. We appreciate that you took your time to look at our advertisement and we look forward to speaking with you! Owner states she is in LIKE NEW condition and ready for a new owner! Draft: 11 ft. 0 in.